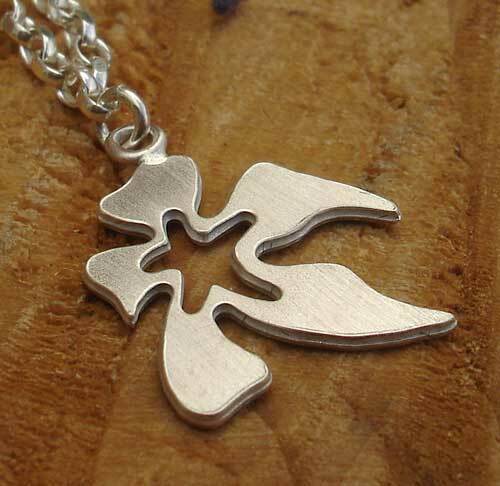 Silver Flower Pendant For Women : LOVE2HAVE in the UK! A silver flower pendant for women. Why wait for the Spring or Summertime when you can own this beautiful women's handmade silver necklace all year long. Here we have a silver pendant in the shape of a flower that features contemporary styling with its unique curves and shaping. The pendant lies flat and comes with a silver curb chain threaded through an eyelet. It is matt in the finish. 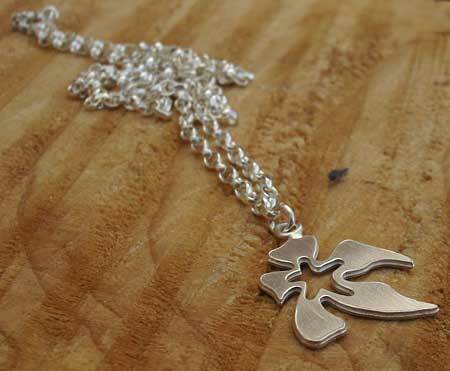 The silver chain is 16 inches long and the pendant measures about 17mm across at it widest point.